Makeup looks, skincare tips and product reviews. 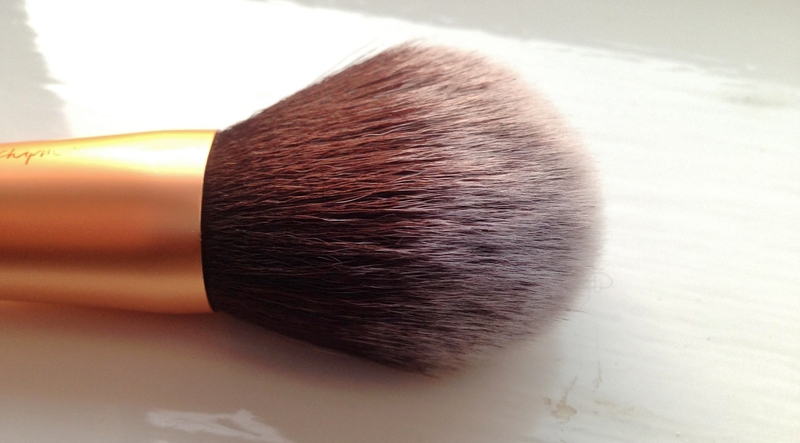 For a long time, I’ve been compromising by using a burnt Body Shop powder brush. I’m aware that an explanation is probably due now… so, effectively, I used the hair drier on it a while back after washing my brushes and singed the ends. OOPS. After a few months of delaying the inevitable, I finally decided to hunt for a new brush and chose to stray away from my heavily Body Shop orientated brush collection. …and I haven’t looked back since. Incredibly soft to the touch, gentle on the skin and wide spread for maximum coverage, this brush is exactly what I have been looking for – priced at a really reasonable £11. For more posts like this, follow my blog and comment in the space below with your feedback. I love this brush, too! 😍 The “Stippling Brush” is also really great! And yeah, Real Technique has such a good quality with low pricing!